The correct, fast sulfur determination is an integral part of quality control in petro industry. The most flexible method therefore is the oxidative combustion combined with UV fluorescence detection. As different the determined sulfur contents of the diverse samples are, as different is their digestion behavior. More complex matrices (VGO) exhibit mode-dependent differences. 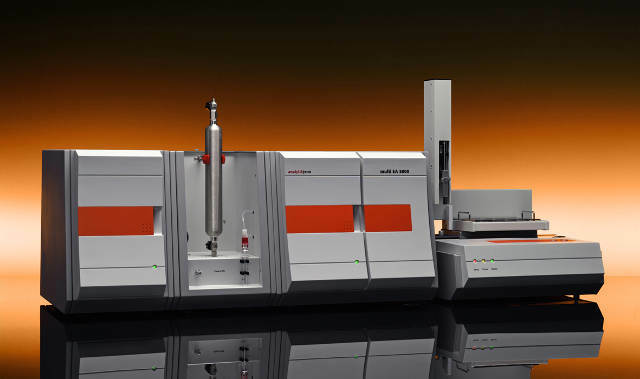 Therefore the selection of the suitable digestion mode is important to ensure an ideal conversion of all sample components. While conventional TS analyzers are limited to vertical or horizontal mode, the multi EA® 5000 can be operated both vertically and horizontally for process optimization. Its innovative double furnace technology creates ideal digestion conditions for any organic sample matrix. Just a single device is enough to examine a uniquely broad spectrum of different sample matrices.